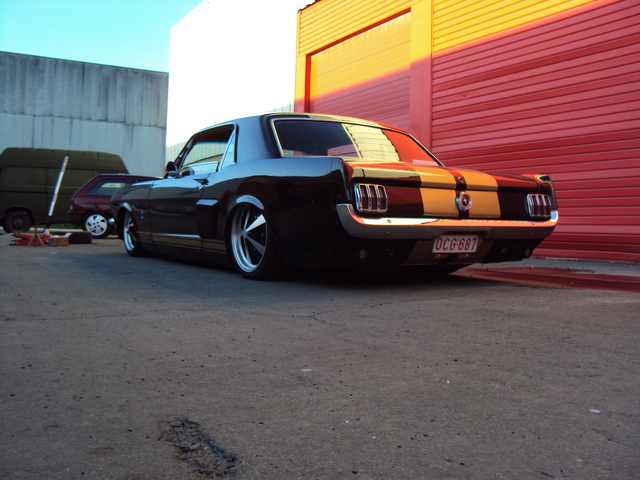 I was going through my pictures and saw this Ford Mustang I found, I think, on The Samba’s forums. Samba is a big air cooled Volkswagen community, and seeing a Mustang is definitely different. But take a look at this picture and you’ll see why. I really wish I had more information on this car because it does look like it has a Type 1/2 chassis. You wont see another Mustang like this. Slammed to the ground and tucking some very old school and rare German wheels. Wheels you usually see on an air cooled Vdub. And the pretty extensive tuck in the front does suggest the narrow beam you see in a lot of the slammed air cooled cars. I think this look is different, and looks awesome. Any one with any info on the car, please share. Who doesn’t love muscle cars? Big bulky, heavy cars that handle horribly, with 400+hp engines. What is not to love? And now that companies have created independent suspension for nearly every car built before 1975, it has solved the handling problem. About 7-10 years ago we were introduced to a new type of muscle car with the Pro-Touring theme. This car is a great example of it. Independent suspension, trim and bumpers molding in for a better fit and cleaner look, tons of custom parts along with a million other things any creative person can come up with. I LOVE the body style of the Road Runners and this one is perfect, minus the huge wheels out back. I personally like fat tires on a smaller rim with the pro-touring muscle cars. 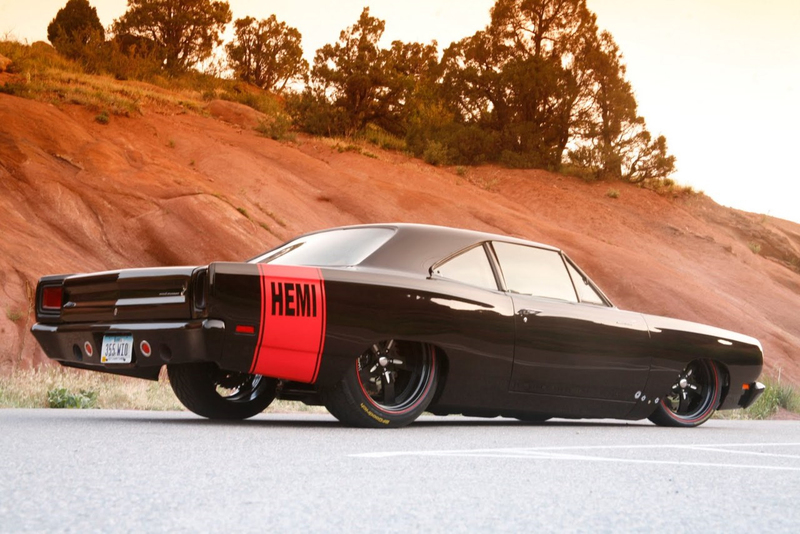 Love the rear Hemi strip. This car looks like a 1969 Plymouth RoadRunner. Me want! I swear I will get back to dope cars after this post. I’m posting up this video because some people really don’t understand the value of this motorcycle. For years and years Suzuki, Kawasaki, and Yamaha owned the 1000cc sector. And for years, to be honest, BMW has been in the slightly boring cruiser and off-road sector. That was until the SR1000RR was introduced. This bike is incredible, I mean just listen to the video. And if you haven’t noticed, it’s priced right around every single 1000cc motorcycle it’s competing against. Not typical of BMW, I know, but it’s time this motorcycle be taken seriously. I have personally seen it perform at the track, and it keeps up with all the big boys just fine. This has got to be the sexiest mix of motorcycle magic I have ever seen. 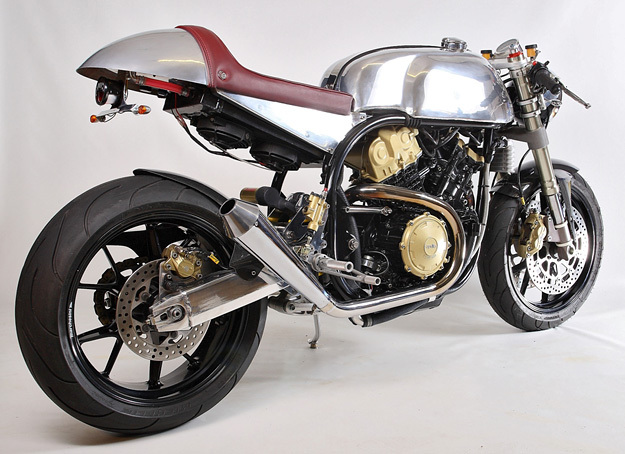 This started as a MV Agusta F4-1000R, which I personally think, is the most beautiful motorcycle, and was transformed into a great looking cafe racer. There really isn’t any way of identifying the bike besides the beginning of the rear undertail exhaust. I think it’s a great idea. 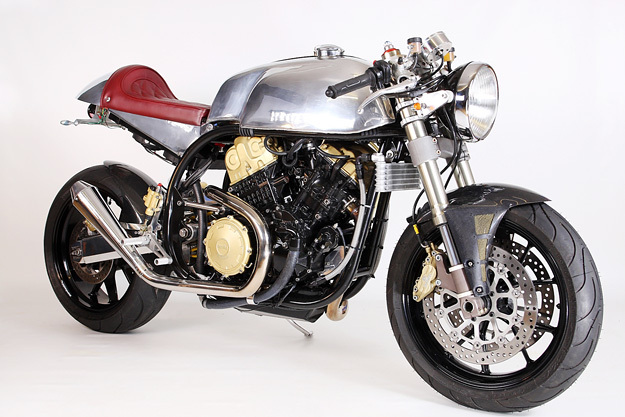 The great sound and handling of a MV with the different look of a cafe racer. 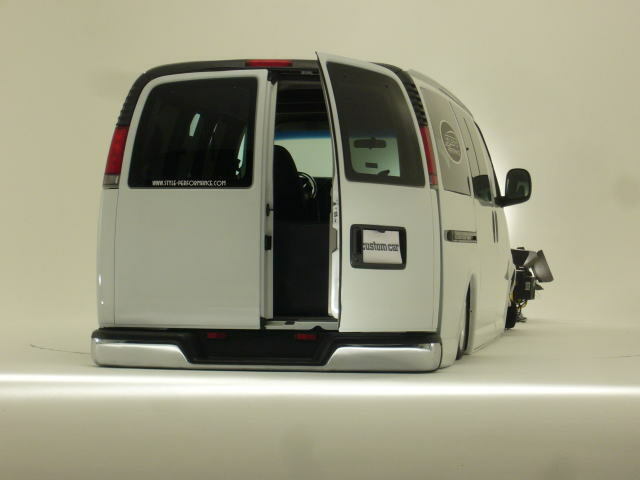 There aren’t many times when you can put the words ‘dope’ and ‘cargo van’ in the same sentence. But I have to say, when I came across the album of this van, those were the exact words that came out of my mouth. This thing is sick! I mean the van is sitting on its chassis! I wish I could find the build thread on this again, because you would really be surprised on the amount of work to get a van THAT low and fit big rig tractor trailer wheels under the fenders. The entire floor is basically raised up. You lose most of your leg room up front and most, if not all, of the floor space in the back since the rear end/axle is now where the rear bench would usually be. Its totally impractical, but who freakin cares. I’m sure you can fit a couple of tools,wheels and spare parts in there. It’s pretty exciting when a sport is created or found. I think we can all safely say that Ken Block made Gymkhana popular over here in the states with all his ridiculously insane videos. So it was only right for him to create the first official Gymkhana event. Now, I know this happened a while ago, but this video came out covering, not only the event, but the Motormavens Mass Appeal car show going on outside of the race track. I think its a great video and nice choice of soundtrack. I am really excited to see what this new sport will bring for all car enthusiasts. East Coast event please?! 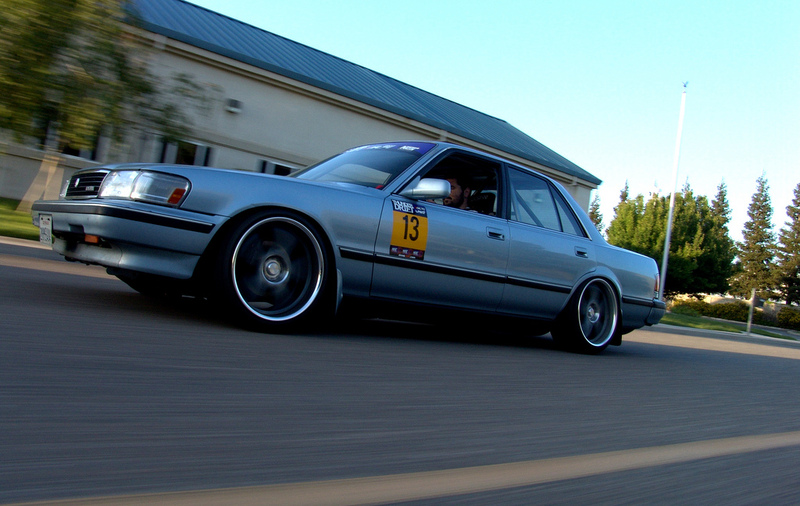 I have to say, I really didn’t like the Toyota Cressida when people started modding them. But they have really grown on me. And now seeing the type of swaps and power people are getting out of them, its hard to ignore. This is the first LS swap I have seen in this car. 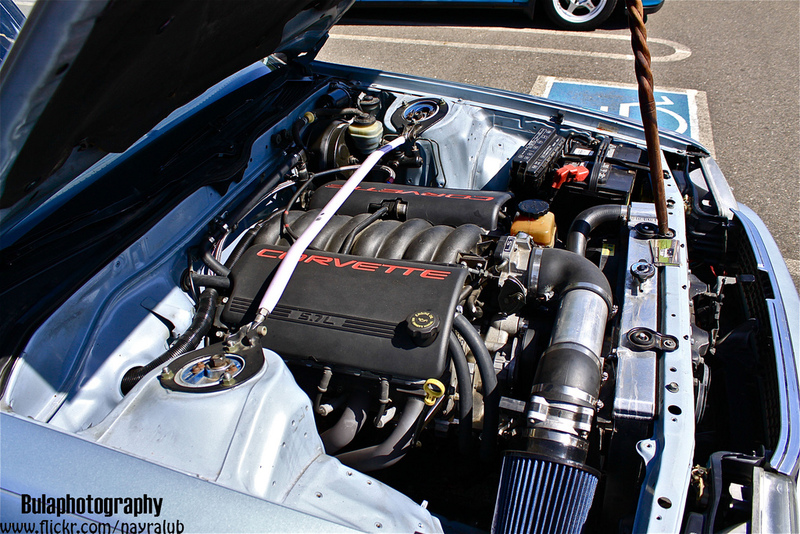 So add it to the list of cars the LSx motor fits in. I would personally throw a 2JZ in one, but props to the owner for doing something different. Car looks great caged and dropped. Lets hope he puts that LS to good use.